In 1878, H.M. High Commissioner for Southern Africa and the Lieut. General Commanding H.M. Forces, clandestinely conspired to invade the Zulu Kingdom. Drastically underestimating their foe, within days of entering the Zulu Kingdom the invaders had been vanquished in one of the greatest disasters ever to befall a British army. 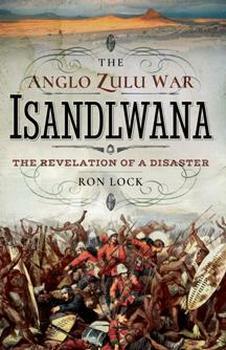 The author not only dramatically describes the events leading up to the Battle of Isandlwana, and the battle itself but, with new evidence, disputes many aspects of the campaign long held sacrosanct. Ron Lock was born and educated in the U.K. In his early 20’s he travelled to East Africa and served in the Rift Valley Troop of The Kenya Police. He has written and co-authored a number of books on the Anglo Zulu and Boer Wars. For many years he operated as a tour guide to the Anglo Zulu and Boer War battlefields.